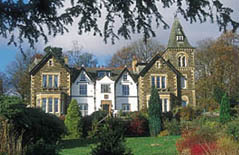 Lancrigg, a hotel near Grasmere where you can get superb vegetarian food and enjoy a night in a beautiful, quiet room, waking up to the birdsong and a view of the mountains which is pretty astounding! 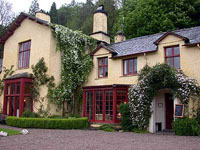 Yewdale, a vegetarian house near Coniston/Hawkshead, with superb facilities and a wonderful ethos. Details of both these properties are given below. There are other hotels which offer vegetarian menus, and of course some hotels who seek to cash in on the vegetarian market by proclaiming themselves "Vegetarian friendly". Whether this is acceptable to you or not is of course a personal choice. There are no doubt many hotels and guest houses where you could stay if you just avoid the non-vegetarian food - but what we're trying to include here are establishments that put meaning into the term "vegetarian accommodation." We'd be really grateful for any feedback you can provide on these or other establishments. Meanwhile, we offer these accommodation options for you to consider. An exclusively vegan operation, both attractive and appealing in facilities and location. Prizet Stables is the new base for the successful Vegan B&B run by Sylvia and Chris at Fox Hall in Sedgwick for many years. Prizet stables is 2 miles nearer to Kendal, so a little nearer town, but the reliable accommodation, excellent service and high quality, delicious food remains the same. Vegans and vegetarians from all over the world will be delighted that what they know and love continues at a new address. We've had many returning guests email us with accounts of the wonderful hospitality and ethos of the house. A quiet, friendly place to stay in Kendal run by vegetarian owners. Naturally the house is non-smoking, and the owners are committed to vegetarian, organic, Fairtrade and, wherever possible, non-GM food products. They buy from a range of suppliers which includes Suma, Whole Earth, Jordans, Doves Farm and other local suppliers of fresh produce. Vegan options are available and the owners are happy to cater for other dietary needs, but please let them know in advance when you book. 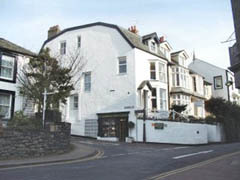 A 10 bedroom guest house which can cater for vegan meals with advance notice. 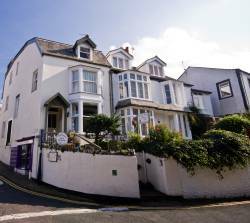 A beautiful location, ideally situated for walking and exploring the local area. Set in 30 acres of organically managed grounds. A delightful place to stay, summer or winter. I've been a couple of times, and I think the charming location, which is extremely peaceful and quiet, is one of its most important features - along with the sumptuous vegetarian food, which at its best surpasses anything you'll find elsewhere. The rooms and beds are variable in the level of luxury but there are some rooms with king sized beds and private spas, and everywhere is comfortable. The downstairs guest rooms, especially the lounge for sitting, tea and post-dinner drinks or games, are just superb. Run by the local contact for the vegetarian society, this is a warm and welcoming place. 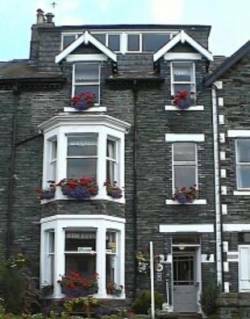 Susie and John are the hosts at Honister House Keswick, a highly distinctive 18thC AA 4 star Bed and Breakfast centrally situated just off Keswick's charming and award winning market square. 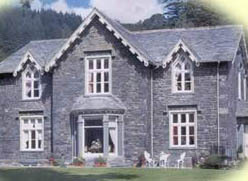 For the vegetarian traveller, Honister House is a real oasis: John and Susie have Vegetarian Society approval. They use locally sourced food wherever possible, and make a point of using organic and Fairtrade produce. Honister House combines the old world charm of timber beams and wood burning stoves with the latest modern features including wifi connection and flat screen TVs/DVDs. The house also features several photographs, paintings and other works by local artists. 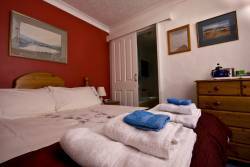 All rooms are en-suite, distinctly individual, and decorated to a high standard. 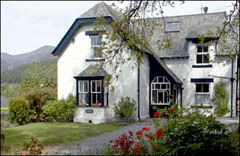 There is an extensive breakfast menu which has gained Honister House an AA "best breakfast" award and Susie and John aim to cater for all dietary requirements. Keswick's featured attractions including Derwentwater and the celebrated Theatre-By-The-Lake are within easy walking distance, with the town's many shops, restaurants, pubs and galleries just around the corner. The area is full of walks suitable for all abilities, many of which can be undertaken straight from the house. 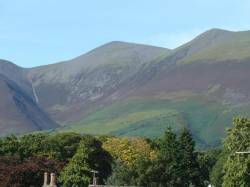 Keswick is also an ideal base to explore the Lake District and to visit the homes of Beatrix Potter and William Wordsworth, as well as the Borrowdale valley (with a working Slate Mine at the head of the valley). Vegetarian Bed & Breakfast, with evening meal on request. Vegan meals on request. An economical and homely option. Can provide vegan meals with advance notice. Hazel Bank stands amidst four-acre gardens in Central Lakeland. Sumptuous bedrooms are fully en-suite with stunning views. It isn't exclusively vegetarian, but it will cater for vegan or vegetarian meals with advance notice. The proprietors have a lot of accolades and awards for their cooking, so you might want to try it. 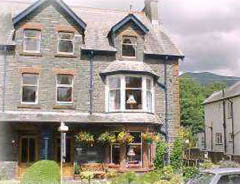 A traditional Lake district guest house, conveniently situated in Keswick, with mountain views from all rooms. Again, not exclusively vegetarian, but making a stout effort to accommodate your requirements. Catering for vegetarians, with caring proprietors.